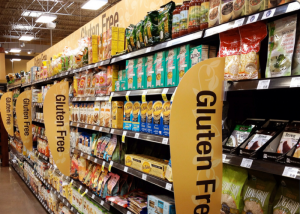 Unless you are on a gluten free diet due to an allergy, intolerance, or Coeliac disease, you generally want to avoid gluten free processed alternatives- they are often packed full of extra fat, sugar, and many times are higher in calories than the non-gluten free original product. The exception to this is of course using non-wheat whole grains such as oats, rice, corn, amaranth, quinoa or millet, which are healthy and unprocessed, or foods that are naturally gluten free such as dairy products, fruit, vegetables, and lean meat, poultry, or eggs. There are exceptions, so you will want to read labels carefully, but many fruit flavoured yoghurts or dairy type desserts have large amounts of sugar, and some have higher than ideal amounts of fat. While some low sugar low fat yoghurts are absolutely healthy- high in protein, vitamins, minerals, and good bacteria- others are no healthier than ice cream. When you juice fruit you remove the majority of the fibre, and with it a lot of the vitamins and minerals, and end up with a drink that is packed full of sugar (even though it is natural, once processed like this it acts just like regular sugar in our body). In fact 125ml of juice has the equivalent amount of sugar as a whole piece of fruit, and many manufacturers add extra sugar on top and/or dilute the actual juice content. On this note- consume dried fruit with care, less is more. Potato is a vegetable. Vegetable chips contains mostly potato, with a very small amount of other vegetables. Still unhealthy, still only a sometimes food. In terms of extra vitamins or minerals, there is a negligible difference between these and regular potato chips/crisps. Many low fat muffins are still made with highly processed white flour, plus extra sugar added to make up for the taste. You are actually better off including more fat (but the healthy kind like olive/vegetable oils/avocado) and less sugar or better yet use fresh fruit to sweeten it up, and choosing wholemeal flour to make your muffins.